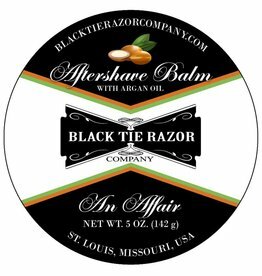 Introducing a new premium aftershave balm from Black Tie Razor Co.! With Argan Oil and Cupuacu Butter, this luxurious, thick balm is GREAT for skin health. Cupuacu butter, made from the seeds of Cupuacu trees, is seemingly ideal for use as an aftershave. 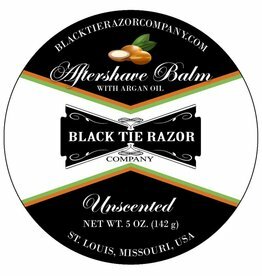 It repairs your skin's moisture barrier, improves elasticity and firmness of skin, reduces the appearance of imperfections, and is great for sunburned/cracked skin. In addition, it absorbs quickly without leaving a greasy residue. Casino Royale is a fougere scent with hints of lavender, oakmoss, bergamot and vanilla.